With clean sheets at a premium this season, spending big money on goalkeepers has become difficult for Fantasy Premier League managers to justify. Three of the top four points scorers in goal started the season priced at £4.5m and that trio - Burnley's Tom Heaton (£4.6m), AFC Bournemouth's Artur Boruc (£4.5m) and West Bromwich Albion's Ben Foster (£4.7m) - have claimed only two clean sheets apiece. The statistics show only 30 shutouts compared with 41 at this stage last term. That has left the top-priced goalkeeper options trailing behind a cast of budget and mid-priced candidates. One key factor behind the appeal of these cheaper 'keepers is their propensity to return points from saves; goalkeepers earn an extra point for every three saves made in a match. As a rule, those playing behind defences that allow frequent efforts on goal are far more likely to benefit from these points. This makes the top-priced options - those at £5.5m - more reliant on clean sheets and explains why they have struggled to return value. David De Gea (£5.5m) went into the season as the most popular selection in goal. The Manchester United No 1 is still owned by 41.9% of Fantasy Premier League managers and yet is placed outside the top 10 for points scored, having claimed only two clean sheets. While Jose Mourinho's defence has failed to keep regular clean sheets they have protected De Gea reasonably well. He has made 18 saves in his seven appearances and has only been tested more than three times in a match on two occasions. As a result, he has earned only two additional FPL points from saves made. Compare this to the current budget 'keeper of choice: Jordan Pickford (£4.0m). The 22-year-old has yet to keep a clean sheet in five appearances for Sunderland but, crucially, has made 27 saves to De Gea's 18. As a result he has collected eight additional points for saves and trails De Gea by four points, having played two matches fewer. Saves also contribute to a goalkeeper's chances of gaining bonus points. Each save earns two points in the Bonus Point System (BPS), with six saves returning the BPS equivalent of a clean sheet. Again, this has helped the mid-priced options flourish in 2016/17. No goalkeeper costing £5.5m makes it into the current top 10 for BPS, underlining how significant the volume of saves has been to this metric. 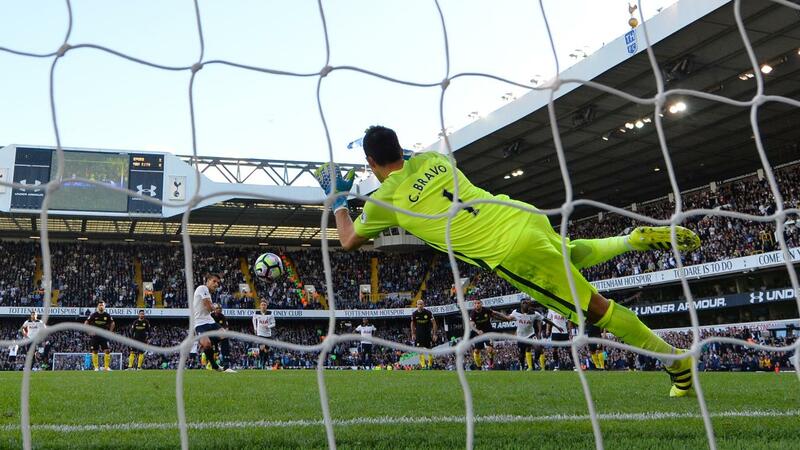 Manchester City's Claudio Bravo has been the only 'keeper priced at £5.5m to earn bonus points this season and that was largely due to stopping Erik Lamela's (£6.9m) penalty in Gameweek 7. While Pickford stands out as a key option given his price tag, there are two other goalkeepers performing well in terms of saves. Stoke City's Lee Grant (£4.0m) has made 10 stops over his two appearances. His tenancy in the Potters goal will be under threat from Jack Butland's (£4.8m) return from injury, but that could still be up to a month away. Hull City's David Marshall (£4.5m) is another candidate. In two appearances for the Tigers, the Scot has made 12 saves, giving him the best save-per-minute statistic of any FPL goalkeeper.